Featuring DONUTS technology, the RE050A (Asymmetric) is an ultra high-performance tyre incorporating dynamic sporty handling and a quiet, comfortable ride to meet the rigorous demands of prestige vehicle manufacturers. The inner and outer tread design is derived from Bridgestone's winning Formula 1 technology. It offers outstanding grip and responsive handling in both dry and wet conditions. 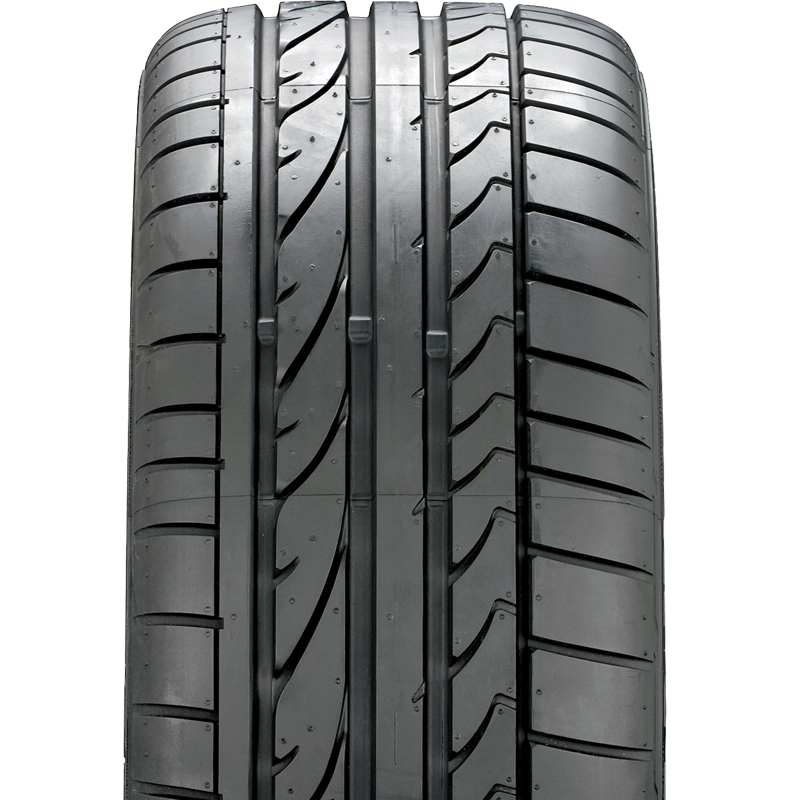 Comprehensive Tyre Design Method - This innovative computer design technology selects the ideal combination of tread design, casing shape, materials and construction to match the customer's performance needs. Innovative Roundness - O-Bead changes the way the tyre interacts with the rim creating an even fit between the tyre bead and the wheel rim. Conventional tyres have a bead shape that results in less than perfect tyre-to-rim fitment. This can result in low level vibration in the steering wheel or other parts of the vehicle.